Black Mountain was transformed from lush jungle and pineapple plantations and located around 25 minutes west of Hua Hin. 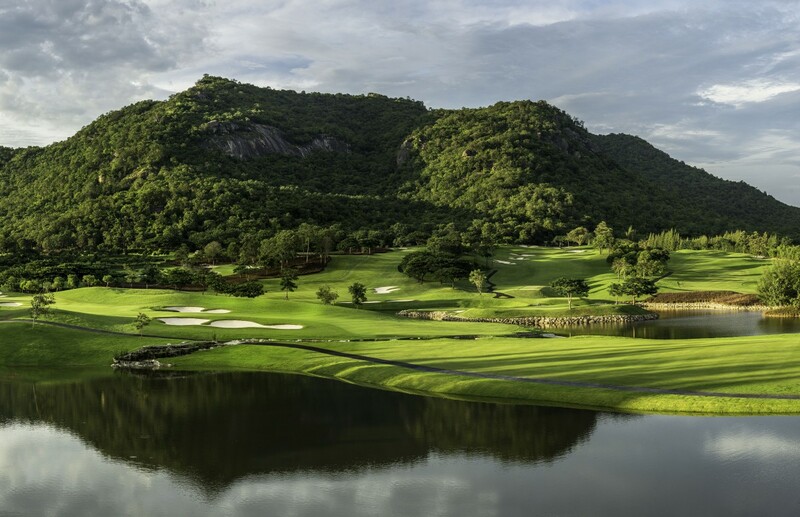 Set in a valley surrounded by huge black granite rock covered mountains, the Hua Hin golf course was the site for Asian PGA tour events in 2009 and 2010 and the Europe versus Asia match play Royal Trophy in 2011. In 2012 and each year since Black Mountain was selected as one of the 100 best golf courses outside the USA by Golf Digest magazine. 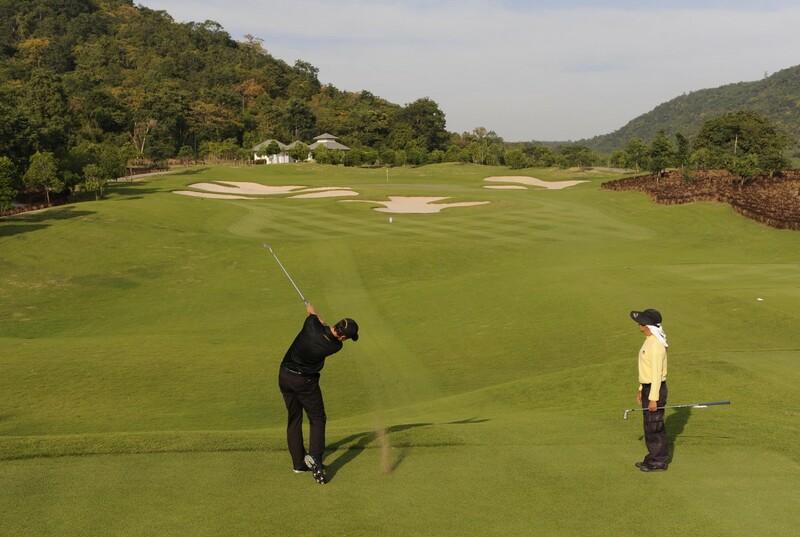 In 2014 Black Mountain hosted The Thailand Classic, the first European Tour event to be staged in Thailand. The Thailand Classic also held in 2015 and 2016, is now a major fixture on the European and Asian Tours. The golf course looks as natural as possible and maintains many original features. The most important of these are the small creeks that run throughout Black Mountain and the rocks used as design elements on many of the holes. The original trees kept, and many new ones planted. Meandering creeks with spillways for carts to pass over frame many of the holes. A new nine holes opened for play in 2016 as the West Course. 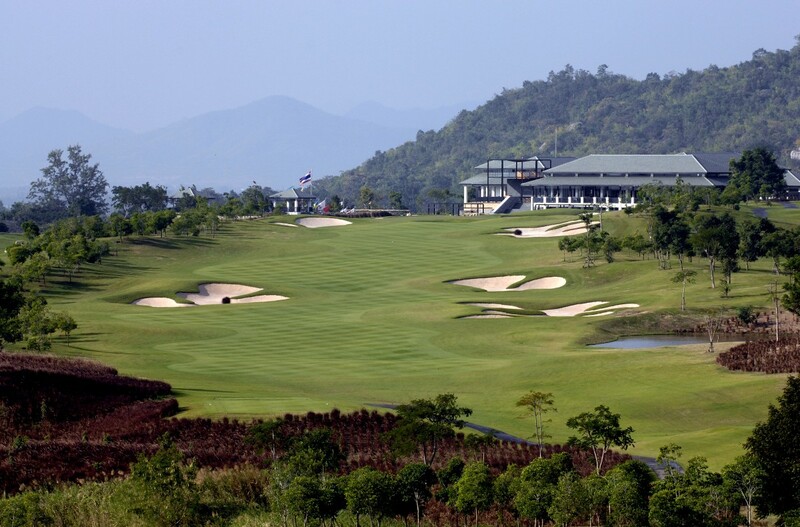 Many Hua Hin golfers like the composite course, while some purists choose the original 18-holes. 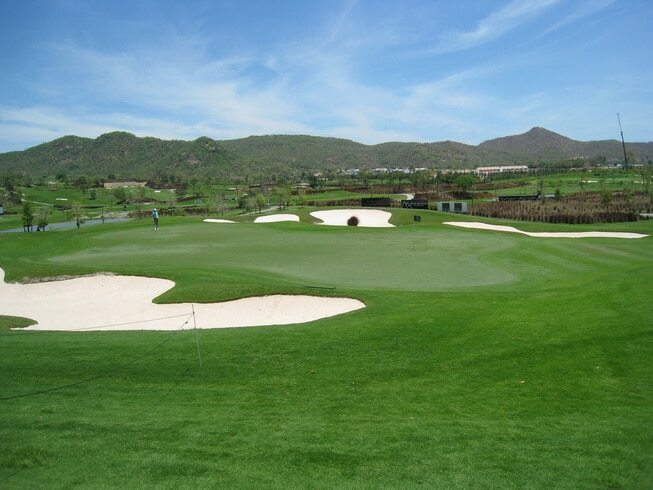 Black Mountain is not only a test for the top professionals but also very playable for the average golfer. The holes provide the golfer with a safe route, but for the more adventurous player, there is a higher risk option with a potential greater reward. Black Mountain offers generous fairways for the shorter hitters that become narrower for longer tee shots. The greens are large with many pin positions that provide different degrees of difficulty. Numerous white sand sculptured bunkers well protect the holes. Seashore Paspalum grass used for the tees, fairways and rough gives a beautiful playing surface and a beautiful emerald green color. Tifeagle Bermuda grass used for the greens yields fast and accurate year-round playing surfaces. Some of Black Mountain’s best holes include the par-5, 6th. The peninsula green can be reached in 2 shots by aggressive long hitters, while casual golfers have a regulation path to the green requiring a 270 degree series of 3 shots around the tree and water fronting the green. Immediately following, the 7th hole, a par-4, provides two realistic ways to play the hole. Carry the drives 230 yards or more over water will be rewarded with a comfortable wedge to the green. Others need to 2 shots to skirt around the water hazard, first left and then back right, making it almost impossible to par. Again, this hole is an excellent example of the risk & reward at each of the holes at Black Mountain. Also outstanding is the signature 11th hole, a par-3 over water to an island green. With no bail-out area and an all-water carry, club selection is critical to a dry landing and birdie chance. 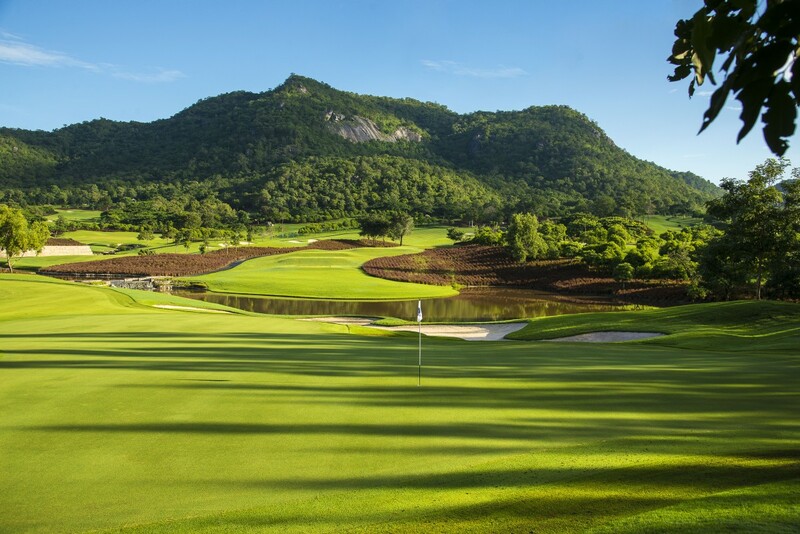 Otherwise, the generous drop area to the left of the green minimizes high scores and at least provides an excellent “wet bogey” opportunity for most Hua Hin golfers. The views from the clubhouse are stunning and give a 360-degree panoramic view of the whole golf course. 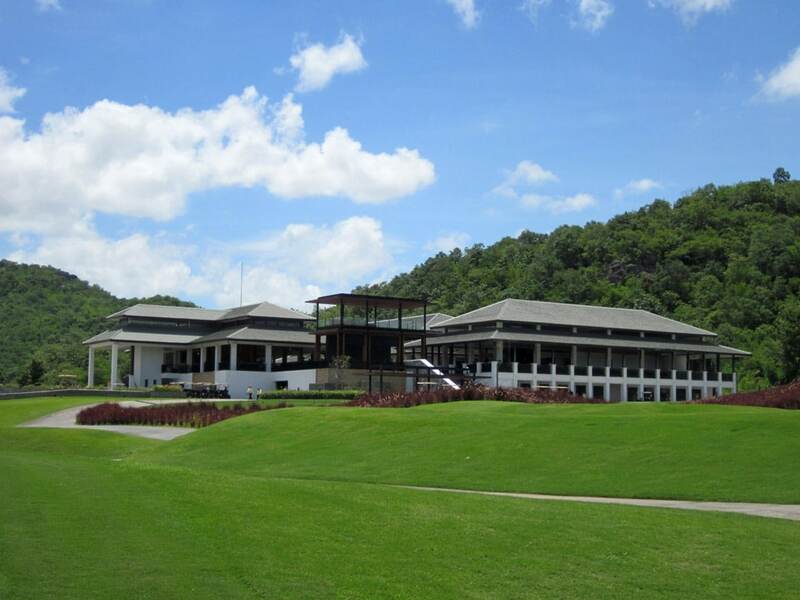 The clubhouse facilities on offer include fine dining in the restaurant, one of Hua Hin’s most extensively stocked golf pro shops, excellent practice areas and driving range, luxurious locker rooms, and an on-site spa. Other attractions at Black Mountain include a fully catered golf resort with both villas and condominiums, general store for provisions, and family oriented waterpark. 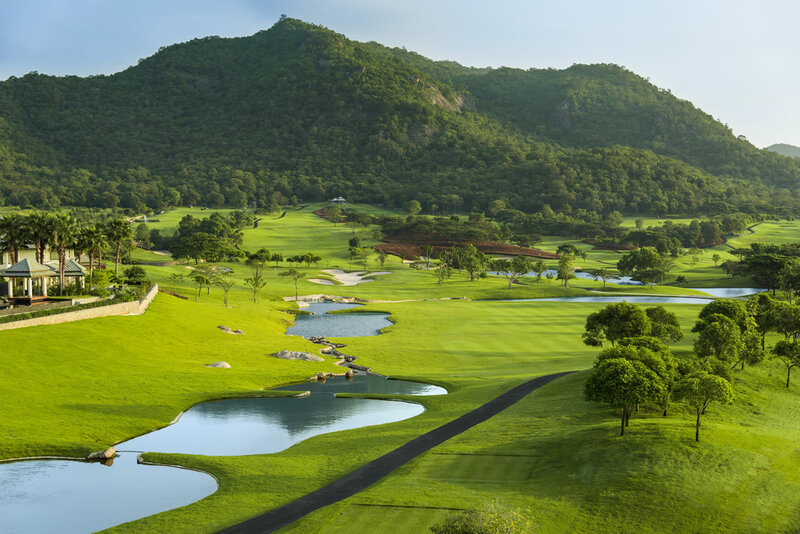 Black Mountain is European owned and managed which assures year-round excellent standards, service and makes it one of the best golf courses in Hua Hin. Have you played golf at the Black Mountain Golf Club and took some nice photos that you would like to share with other golfers? Send them to us and we may upload them here. Thank you in advance! this course was awesome and my caddy "KET" was one of the best caddies I have ever had ! Absolutely immaculate and with the large number of tees a challenge to all levels of golfers. Without a doubt it has overtaken Springfield as No.1 in the area. A definite must play! 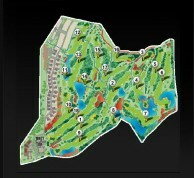 Fabulous course and kept in immaculate condition. Top marks to Harald and the team, watch those greens boys and girls they are QUICK! A WOW golf course. A difficult challenge but what isn't in life, even if you don't play well, it is worth it. A must do if you are in Thailand. The layout, the standards, the club house the F& B are all excellent. I am booking our next group trip now!